The Google Play Store is crammed not only with more recent, mobile-adept releases like Cut The Rope, Temple Run and Angry Birds, but also those older, cherished titles from various other platforms. Yet while it’s not uncommon to see old PlayStation and Xbox games being optimized and enhanced for the modern gaming world, the titles made famous by Nintendo consoles have been conspicuous by their absence. Nintendo’s decision not to bring any of its own titles to the mobile realm, aside from its own DS and 3DS range, is a major factor in this trend, but today, Wii title The Conduit has made its way to Android. 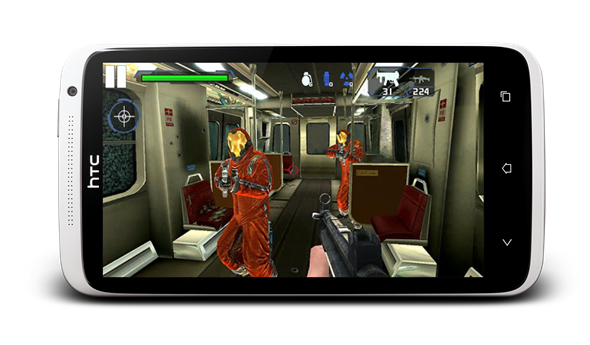 It’s called Conduit HD, and as the name implies, work has been done to ensure the game looks great and runs smoothly on NVIDIA Tegra devices. It makes full use of the Tegra SoC, with fully-optimized visuals which naturally look a margin better than they ever did on Nintendo’s games console. The character details are pretty spectacular, and whether you played the original or not, this is a title all of you first-person shooters out there want check out. The first two levels are absolutely free of charge, in what is a free-to-download title. Thereafter, if you want to access the seven other levels bringing a total of nine, you will need to part with five bucks; certainly not a bad deal for a really full-on FPS experience. There are countless types of enemy, myriad variations of weaponry at your disposal, and by not employing the rather annoying freemium model, gamers will not have to shell out excessive amounts of money in order to enjoy it to the fullest. 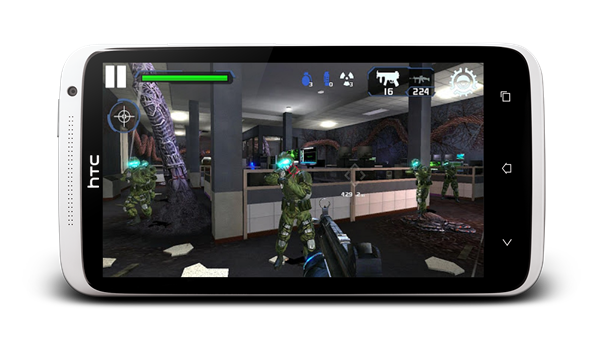 Initially, it was thought an FPS experience would be too difficult to port to a touchscreen, but developers and publishers seem to have taken to the new interface like a duck to water. Conduit HD is no different, and if you have been in the wait patiently for a new, decent shoot-’em-up to arrive, you now have it. You will need a device powered by a Tegra chip in order to get started with Conduit HD, but provided you do, check out the Play Store link below.